“Bong”. It’s no longer an obscure word that would fly over the head of most people. Nowadays people all over the world are familiar with bongs, their purpose and what they look like. Modern media has clearly been the biggest contributor to the awareness of bongs and smoking culture alike. You don’t have to look far to find well known celebrities who aren’t shy about their habits. Such as Seth Rogen who can be seen “hitting the bong” is various big movies like “Pineapple Express” and “Knocked up”. We also see great influence from the music industry as well with such notorious songs like Cypress Hills “Hits from the bong”. It’s clear to see bongs have pushed their way into mainstream life of many people. It’s also easy to see why. 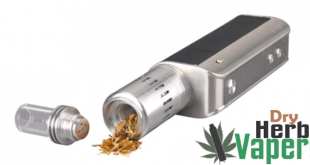 People are always looking for new and practical ways to enjoy their herb and tobacco and bongs fit the bill. There are many reasons a person may prefer a bong to say, a smoking pipe or rolling papers. In this article I will discuss all the pros and cons of bongs and what attracts people to them. First off we want to mention the practical advantages. Bongs are designed in a similar way to the well known “Hookah” pipes. They are essentially a glass, plastic or metal device with a chamber in which you place water. A down pipe and bowl are attached to the main structure and these allow you to filter the smoke of your selected herb or tobacco through water. 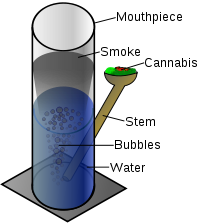 Many people enjoy using a bong as it helps filter smoke of all those extra unwanted particles you may encounter with more conventional methods. As well as the benefit of extra filtration it can also improve the taste. As the water helps filter the smoke it can be smoother by the time it is inhaled. People have also taken to filling up their bongs with flavored drinks and ice rather than water. Some believe this adds to the overall taste of the smoke. In recent years bongs have adapted to include even more practical inventions such as the percolator. A percolator is used to improve the cooling and filtration of the smoke. 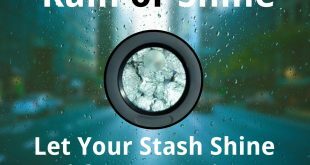 They come in different types such as the tree arm, dome and spiral percolators but all are built with the same objective, to filter the smoke. A percolator bong has become the sought after piece of equipment for all regular bong users. On many bongs you will also find “ice notches” which are small indents on which you place ice cubes, these are also used to cool the smoke for a smoother, more enjoyable experience. Many of the more advance types of water pipes like these percolators will usually be made of glass. Glass allows the creator to be more imaginative with their design as glass can be blown into most shapes. Another main appeal of the bong is their appearance. While they are more or less just a smoking tool it doesn’t stop people demanding them in weird and wonderful designs. Bongs can now come a whole range of elegant and novelty styles. There really is something for everyone and in modern times it’s easier than ever to access the best online headshops. These stores sell every material, size and color you could imagine to suit every taste. Glass bongs are currently most sought after thanks to the range they come in, however that doesn’t mean there are more than enough great metal and acrylic water pipes to choose from. Many people are drawn to plastic or metal simply because of the price. A high quality glass percolator bong will set you back a considerable amount more than a standard plastic pipe bong. If you choose to browse one of these sites you might also come across ceramic bongs. Many ceramic bongs come in novelty designs. Some of the more common are the ‘Yoda’ and alien bongs. It’s thanks to this variety that the bong has become more than just a smoking tool. It’s an ornament and a talking piece. They really have become part of the modern smoking culture and don’t seem to be going anywhere. 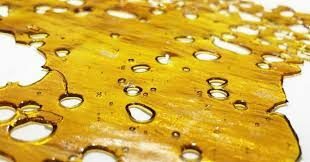 They are easier to come by now more than ever and you can buy bong of all types from all over the web. If you are looking for a bong then you really are spoilt for choice and you may get through a few in your lifetime before you find the one that works best for you.